CHINA: Ming Yang is seeking to take over Vestas at a price of €1.5 billion to €2 billion, according to reports in the Chinese business press. Citing anonymous industrial regulatory sources, Caixin.com said the takeover will be completed in September or October, if everything goes smoothly. When contacted by Windpower Monthly, Wang Song, an executive director of Ming Yang, said: "It is not possible to respond to this at the moment." Likewise, Vestas did not confirm or deny the report and dismissed it as "speculation". According to BTM figures in March, Vestas was the world's largest manufacturer in 2011, with 12.9% market share. Ming Yang, based in Zhongshan, south China’s Guangdong province, was the 10th largest, with 2.9% market share. Ming Yang currently uses wind turbine designs produced by German designer Aerodyn. Last week, there were reports Vestas is considering putting itself on the market and is in debt restructuring talks. The UK's Sunday Times said Vestas' banks including HSBC and Royal Bank of Scotland, had told the company it needs to prepare a debt restructuring plan. It said the banks had appointed Ernst & Young to handle talks with Vestas, which has itself brought in PWC to handle the restructure. The report said Vestas' debts are around €2 billion. Like fellow Chinese turbine manufacturers, Ming Yang has had a difficult 2011. The company's profits for the year fell from CNY 709 million in 2010 to CNY 292 million, a 53% fall in profit. As with Goldwind and Sinovel, which suffered higher profit fall, Ming Yang blamed this on falling turbine prices in the Chinese market. 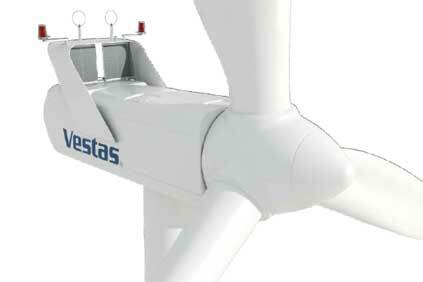 Ming Yang has since denied reports it is to acquire Vestas.